The show is one of the most important events in the movie industry – with more booths on the exhibition floor and many new products to display, this Year’s ShowEast is not to be missed. Visit Martek on stand 419F to talk about your next opening or refurbishment. Martek have been building and installing great concession stands, box offices, VIP bars, restaurants, coffee shops, ice-cream parlours, pick and mix systems and other profit generating areas for over 25 years, and have worked all over the globe with the very best independent operators, national circuits and multinational exhibitors – over 600 major projects for 60 operators, in 23 countries and on three continents. 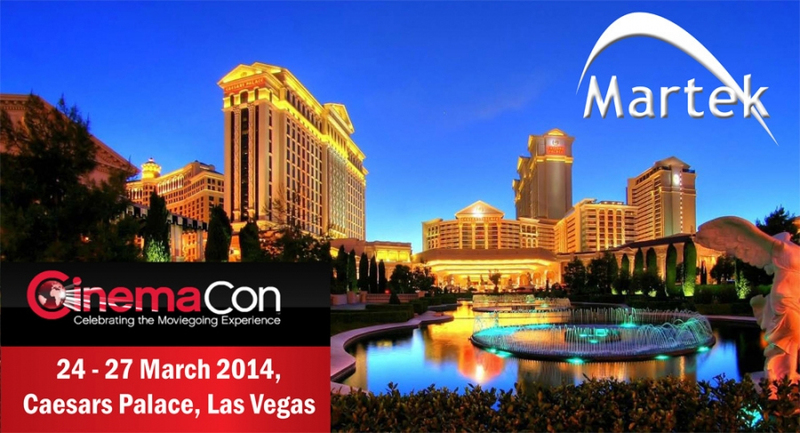 Once again, Martek can be found on stand 419F – if you would like to arrange a meeting during CinemaCon 2014 to discuss your next project then please email Kirsty Carnell to arrange.